SOLIDWORKS 2018 is a powerful solution that helps you to speed through your designs with new features and functions, allowing you to gain maximum performance and complete your designs faster and easier. 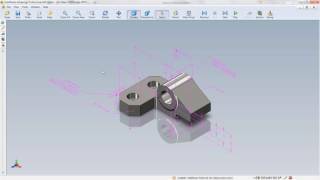 A powerful 3D design solution for rapid creation of parts, assemblies and 2D drawings with minimal training. Application-specific tools for sheet metal, weldments, surfacing, mold tool and die make it easy to deliver best-in-class designs. Unlock the benefits of 3D design. DriveWorksXpress DriveWorksXpress is the easy to use, Rules-based Design Automation tool for SOLIDWORKS Engineers, allowing users to create multiple variations of parts, assemblies and drawings quickly and accurately. Animation Explode an assembly. Move interactive parts. Fly around your model. Rotate it to any angle. With SOLIDWORKS Animator you can do it all without being an expert in animation. 3D ContentCentral 3D ContentCentral® is an online service for locating, configuring, and downloading free 3D CAD models of supplier parts, components, and assemblies. eDrawings Publisher Collaborate more effectively with everyone involved in product development by using eDrawings™ software, the first email-enabled communication tool that dramatically eases sharing of product design information. FeatureWorks The first parametric feature recognition software for SOLIDWORKS 3D CAD users, FeatureWorks enables more productive sharing of 3D models between SOLIDWORKS and other CAD systems. 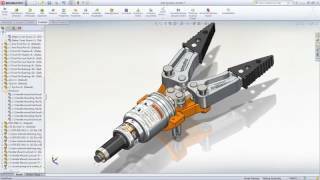 Builds on the capabilities of SOLIDWORKS Standard. It introduces data management, photo realistic rendering, and a sophisticated components and parts library. Efficiency and innovation increase with the solution that is used by millions of designers. Costing The Costing tool helps you calculate how much it costs to manufacture sheet metal and machined parts by automating the cost estimation and quotation process. CircuitWorks CircuitWorks is designed to bridge the gap between SOLIDWORKS and Electrical Computer-Aided Design (ECAD) systems by providing an intuitive tool that allows users to import and export Printed Circuit Board (PCB) designs between SOLIDWORKS and ECAD systems. eDrawings Professional Collaborate more effectively with everyone involved in product development by using eDrawings™ software, the first email-enabled communication tool that dramatically eases sharing of product design information. 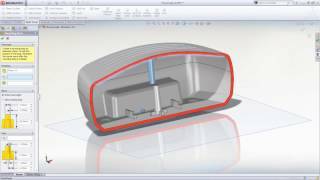 SOLIDWORKS Toolbox Here’s a simple, affordable way to be more productive every day. It’s SOLIDWORKS Toolbox. No more thumbing through parts catalogs to check values and specifications. PhotoView 360 PhotoView 360 allows busy engineers to create highly realistic photorealistic renderings. TolAnalyst TolAnalyst™ is a tolerance analysis tool used to study the effects tolerances and assembly methods have on dimensional stack-up between two features of an assembly. SOLIDWORKS Utilities SOLIDWORKS Utilities is a set of tools that lets you examine in detail the geometry of a solid model, and make comparisons to other models. All SOLIDWORKS Utilities require SOLIDWORKS Professional. SOLIDWORKS Design Checker Streamline your organization’s design release process with SOLIDWORKS Design Checker, a productivity tool that automatically identifies elements that may be inconsistent with your organization’s design standards. SOLIDWORKS Task Scheduler The SOLIDWORKS Task Scheduler lets you set up tasks to perform at a future time. For example, if you need to perform a resource-intensive task such as rebuilding a large assembly. SOLIDWORKS ScanTo3D ScanTo3D is an indispensable tool for any designer who needs to capture physical concept models, existing OEM parts, or anatomical objects and use these scanned renditions as references to build SOLIDWORKS models. Comprehensive solution that combines the capabilities of SOLIDWORKS Professional with powerful simulation and design validation toolsets, as well as advanced wire and pipe routing functionality. 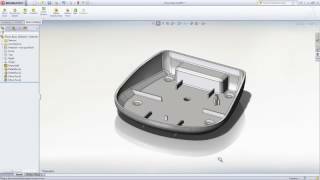 Tackle your designs tasks with SOLIDWORKS flagship offering. 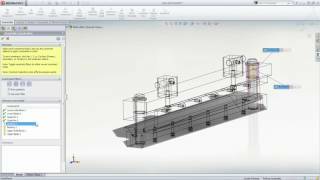 SOLIDWORKS Routing Perform routed system design tasks easily and automatically. Speed up the process of routing tubes, pipes, electrical cable and harnesses and electrical conduit. SOLIDWORKS Simulation Go beyond simple hand calculations by verifying your intuitions and study the real-world performance of different design alternatives without ever leaving the SOLIDWORKS window. 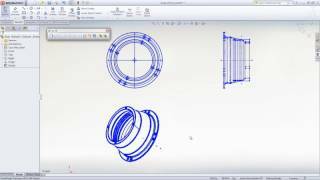 SOLIDWORKS Motion SOLIDWORKS Motion enables engineers to size motors/actuators, determine power consumption, layout linkages, develop cams, understand gear drives, size springs/dampers, and determine how contacting parts behave. Advanced Surface Flattening Automatically flatten complex surfaces and interrogate an interactive deformation plot (mesh) to graphically view stretch and compression concentrations that can occur when flattening some surfaces with high curvature. Assembly Level Cost Roll Up Automatically flatten complex surfaces and interrogate an interactive deformation plot (mesh) to graphically view stretch and compression concentrations that can occur when flattening some surfaces with high curvature. Sustainability SOLIDWORKS Sustainability performs real-time environmental assessment as part of your product design process. Turn your sustainability goals into results. Each month we host valuable events focused on educating you on the products and services that can help streamline your product design process. Whether you attend local events at a branch location or a fun venue, you’ll find our seminars and workshops to be educational, interactive and time well spent.